Video Conferencing, often termed as “Visual Collaboration”, has made a significant infringement in business, education, media and health industry. 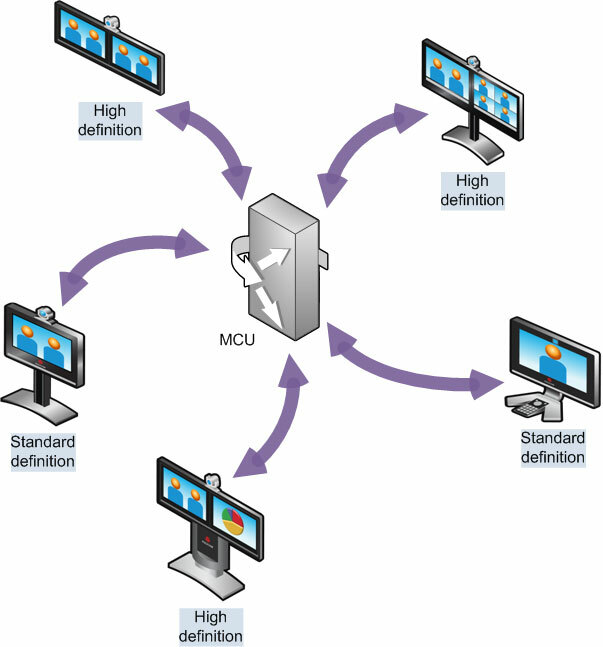 Video Conference Bridge or a multipoint control unit (MCU) is a hardware/ software combination that interconnects calls from several sources. A series of interactive video streams are assembled together into a single video feed. The quality media streaming saves participants of a meeting the expense and hassle associated with physical travel. Brilliant hosts video conference bridging services that is easy to operate, protocol independent, manages bandwidth of different participants’ devices with varying capacity while media streaming. The participants can join the video conference from their video enabled devices like phone, desktop or a web portal while the call is managed through a web based meeting portal. The incoming video streams are generally sourced by video conferencing stations or individual computers, and each may have a different bandwidth capability and video quality. To overcome this challenge, the video conference bridge uses special software to convert the video (and, in most cases, associated audio) streams into a single, easy-to-see video output that can be directed to other conference participants. Presentations or documents can be shared via internet during the conference. Participants can demonstrate presentations, corporate reports, sales figures, and company data. Work as an excellent training resource as employees or colleagues from around the world can virtually converge in a single classroom where a concept can be drawn out or physically demonstrated for all to see.